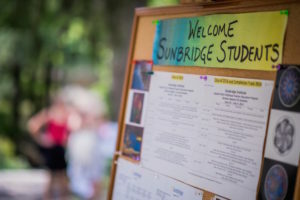 An opportunity to explore Waldorf teaching and Waldorf teacher education, Open Day is designed for prospective students of Sunbridge Institute’s Waldorf teacher education programs (Early Childhood, Elementary, World Language, and Music) as well as individuals interested in finding out more about Waldorf Education. Doors will open at 9am for our guests to check in. The event will begin promptly at 9:15am and will conclude by 12:30pm. Advance registration is required. Please Note: Open Day is an adult-only event. Contact Penelope-Myles Voss at info@sunbridge.edu or 845-425-0055 x20.